Ultra versatile, the Clamplight Junior Flashlight by Black FIre is the perfect tool for the young camper. It' designed to clip on virtually anything, stand on its' own, or be held like a regular flashlight. The Head swivels to get light where you need it. Ultra versatile, the Clamplight Junior Flashlight by Black FIre is the perfect tool for the young camper. 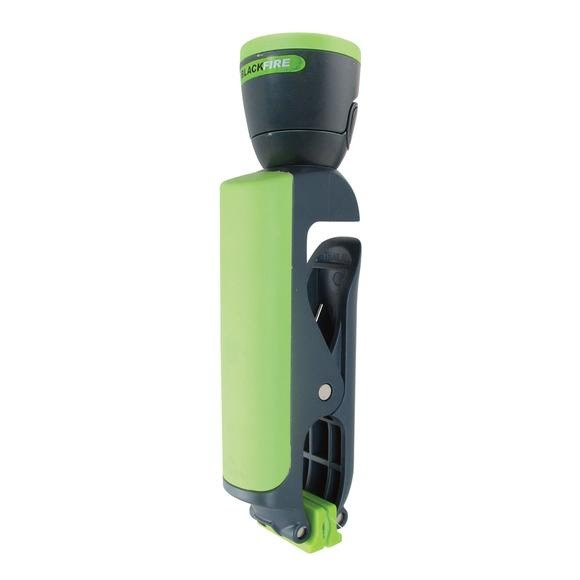 It&apos; designed to clip on virtually anything, stand on its&apos; own, or be held like a regular flashlight. The Head swivels to get light where you need it.